Once you have your trade name, trademarks and domain names selected, all Startups should begin to think about another form of intellectual property – patents. A patent gives its owner “the right to exclude (stop) others from making, using, offering for sale, or selling” the invention in the United States or “importing” the invention into the United States. 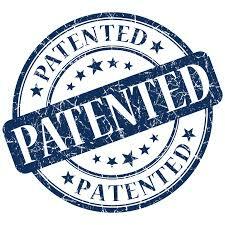 Most businesses are concerned with utility patents and design patents. In the United States, the term of a new utility patent is generally 20 years from its application filing date (14 years from issuance, for design patents) with the United States Patent and Trademark Office. Sometimes protection can be offered in either or both forms: Utility patents may be granted to anyone who invents or discovers any new, useful, non-obvious process, machine, article of manufacture, or composition of matter, or any new and useful improvement thereof. Design patents may be granted to anyone who invents a new, original, and ornamental (decorative) design for an article of manufacture. Most “laymen” don’t really know if they have a patentable invention unless they conferred with a competent Patent Attorney. As a preliminary step, however, it’s good to research and review a few things you know are patented in the subject area covered by your business. Then, get together with your partners and discuss whether you might have some patentable innovations and if you have the capital right now to protect them by hiring a lawyer and filing the patents. Do not discuss your potential patentable inventions with anyone outside the executives of your business who are bound by confidentiality agreements or with outside Patent Counsel as you do not want to ruin your chances of getting a patent by inadvertent public disclosure. What It Is you are claiming as your Invention? Any important variations of the invention do you need to capture? How do the parts of the invention interrelate? How is your invention a substantial improvement over the related art? What are the benefits of your invention? Why is your invention better than what’s already out there? Pursuing Patent protection is not cheap, but the exclusive protection a patent gives to the holder is usually well worth the effort. If you can’t afford to file for patent protection right away, you will want to keep the invention secret so as not to lose your potential protection through inadvertent public disclosure. You should consult an attorney or lawyer for individual advice regarding your own situation.